We all might catch ourselves being antagonistic on occasions, but some people are dangerously antagonistic. The person who stirs up dissension in the Church is one of them. I am not talking about taking necessary stands for truth or using proper means for expressing concerns. These are people who are causing divisions in unnecessary and destructive ways. 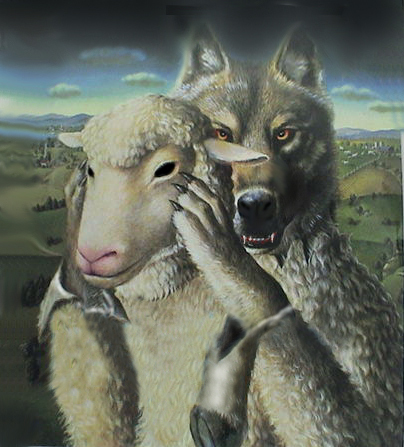 There are individuals who use a variety of deceitful tactics to alienate people from each other. They take strange (but often subtle) pleasure in dividing people, especially if it draws a following for themselves or makes them look better. They use veiled accusations, ask questions with raised eyebrows, or resort to deceitful innuendo. They draw attention to the faults of others by subtlety joking about perceived weaknesses in them. These are typically insecure people who look for ways to bring attention to the faults of others to make themselves look better. They will even lie (or lightly shade the truth) to advance their cause or to make themselves look better. They tend to view leadership as competition for recognition. This person enjoys sowing seeds of distrust to turn people against each other. He drives wedges between friends, neighbors, relatives and even church members. Like Absalom, he desires the loyalties of others to himself and his agenda. But sometimes these dangerous individuals just take perverted pleasure in separating people from each other. Whatever their motivation, God hates the person who engages in this kind of evil behavior (see: Proverbs 6:16-19). And, since this is what God hates, He obviously loves peace and unity among His people. “Let us therefore make every effort to do what leads to peace …” (Romans 14:19). “Make every effort to keep the unity of the spirit through the bond of peace” (Ephesians 4:3). “Make every effort to live in peace with all men and to be holy …” (Hebrews 12:14). What should we do when peace is not possible? The Scripture says, “If it is possible … live at peace with everyone.” But sometimes it’s just not possible. Sometimes, when we stand for truth and righteousness, we get labeled “troublemakers” instead of “peacemakers.” When this happens, we stand in the company of great prophets like Elijah, Isaiah, and Jeremiah. After Jesus said, “Blessed are the peacemakers,” he said, “Blessed are those who are persecuted because of righteousness.” Of course, we must be careful not to disrupt peace unless we are genuinely standing for God’s righteousness. This distinction is important because people who stir up dissension in the church often try to give the impression that they’re only standing for truth and righteousness. But often it is their interpretation of truth and righteousness that they are using to drive wedges between people and to win people’s loyalties to themselves. Scripture is clear about divisions between truth and error. These distinctions must divide people. We should never seek peace at the sacrifice of truth and purity. But the type of person who stirs up dissension doesn’t really care about the unity or the purity of the church. He will feign a concern for these things, but his real concern is for himself and his agenda. If these characteristics are detected, proceed with caution. According to Haugk, the presence of one or more red flags does not guarantee that you are dealing with an antagonist. But it will give you fair warning to exercise caution. THE PREVIOUS TRACK RECORD FLAG – Some antagonists will wave a red flag announcing: “See how antagonistically I behaved before!” They could have played the role of antagonist earlier in the present congregation, or they might have done so in another congregation. Do not ignore this clear flag or say, “It won’t happen to me.” The data indicates that those with antagonistic track records tend not to reform. Is his or her behavior disruptive? Does the person go out of the way to initiate trouble? Are the person’s demands insatiable? Are the concerns upon which he or she bases the attack minimal or fabricated? Does the person avoid causes that involve personal risk, suffering, or sacrifice? Does the person’s motivation appear selfish? If the answers to several of these questions are in the affirmative, it’s enough to suggest that you are dealing with an antagonist. Even if the answers to a few are no, you need to take a closer look. See: Are there certain people we should ignore? This entry was posted in Antagonists, Church building, Church discipline, Church growth, Church Leadership, Church membership, Human depravity, Leadership, Legalism, Life of a pastor, Pastors, Peace, Trouble-makers, Truth, Unity. Bookmark the permalink. I know people in my neighborhood with these qualities. They know we are Christians, but they are not and dont go to church. Even outside of church this goes on. If you try to to do good, they see you as a threat plain and simple. They start planning the divide and conquer games with the other neighbors that like you. So how do you deal with a person like this in your work place. It is a very small office with only 3 – 4 employees. I use to really enjoy my job, never dreaded going to work, but now when I even think about going to work I want to cry. She has already ran one person off. She claims to be a Chrisitan, but all she talks about is drinking wine and margarita’s. How she spends the night at her boyfriends house, and is always trying to dig dirt up on whoever to make herself sound better. I could go on but that isn’t necessary I think you probably get the point. I am very frustrated and any advice would be helpful. When reading this Think Point I found myself substituting the word “church” with “family”. Are the same points relevant to dangerous people in your family? I found this piece very comforting finally realizing that God does not require reconciliation with all persons who wrong you. Very recently, our very small church went through an all out campaign against our pastor. Headed by 2 people,, 1 an old man, and another member of his family, and involving a few others. They formed up a campaign, worked it heavily for months, then held a pastoral recall voting, hoping to gain the full vote (against) the pastor, a Godly man. They lost the vote, but after pastoring there for 8 years, the pastor very kindly thanked them for their vote, resigned, and told them to their faces in the business meeting exactly what they had done, and that they had split their church completely, which was true. They could not even look at him. Everyone has left, or is just standing outside the situation for a while, because of being so upset with the meanness and deliberate hateful actions of these people. God must be so very angry with these things going on in His house. M ay God help these contentious people. After research just a few of the weblog posts on your website now, and I actually like your manner of blogging. I bookmarked it to my bookmark web site record and can be checking back soon. Pls try my web page as properly and let me know what you think.